A-HOTEL.com - Luxury and cheap accommodation in Alekanovo, Russia. Prices and hotel, apartment booking in Alekanovo and surrounding. Set in Ryazan, 4.1 km from CSK Stadium and 6 km from Victoria Plaza, Apartment on Kalnaya 5 provides accommodation with amenities such as free WiFi and a TV. Located in Ryazan, 1000 i Odna Noch Inn offers a spa and wellness centre, sauna, hot tub and indoor pool. Free private parking is available on site. Set in Ryazan, 3.9 km from CSK Stadium and 5 km from Victoria Plaza, Apartment on Kalnaya 5 features air-conditioned accommodation with a balcony and free WiFi. Sakura is located in Ryazan. This guest house offers single, double and twin rooms with free Wi-Fi access, a flat-screen TV and air conditioning. 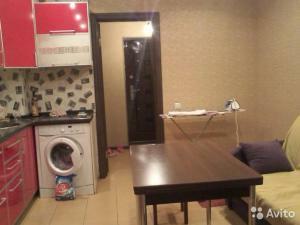 Set in Ryazan, Griboedov Apartment provides accommodation with a balcony and free WiFi. This property is 3. Located in the central part of Ryazan, 2 km to the Kremlin, Hotel Atlantic offers comfortable rooms with free WiFi. It also features a sauna and 24-hour front desk.